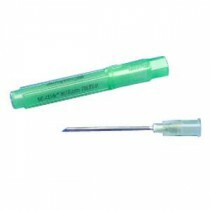 Hypodermic Needles, also referred to as Medical Needles, are used to inject medications for patient care or treatment. 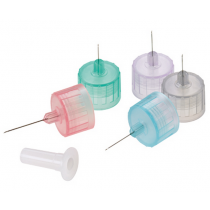 Choosing the Right Needle can be a daunting task because modern Hypodermic Needles come in many sizes and options, including PrecisionGlide, Sterile Hypodermic Needles, Thin Wall Needles, Insulin Needles, Pen Needles and Winged Needles. 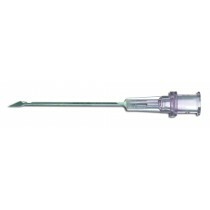 Hypodermic Needles (see Anatomy of a Needle) are selected most often by the intended use or the injection type. The basic types of patient injections for patient care include intradermal injections, subcultaneous injections and intramuscular injections (see Selection Criteria). 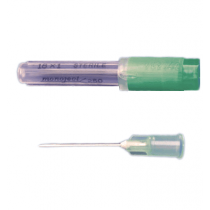 Important criteria for selecting the correct size include the gauge, the length and the type of syringe connection. 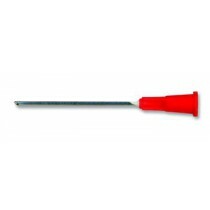 The gauge is a measurement of the diameter of the needle, the larger the gauge number the thinner the diameter. The higher the viscosity of the fluid being injected, the lower the gauge number should be. However, the higher the gauge number, the less pain and bruising for the patient. See Gauge Selection Criteria for additional information about choosing the right gauge. The length is usually provided in inches. Half inch to 5/8 inch sizes are the most selected needle lengths for intradermal and subcutaneous injections. 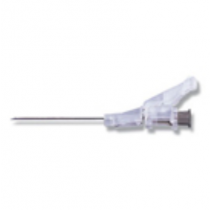 Intramuscular injections usually call for a needle length of 7/8 inch to 1-1/2 inch. See Length Selection Criteria for a handy infographic displaying the length of a needle matched to the type of injection. 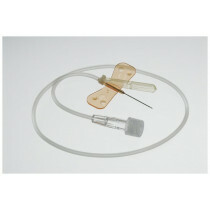 The connection between the needle and the syringe can play an important role in the selection process. 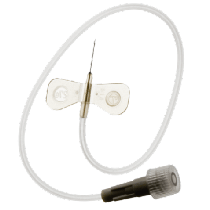 Some syringe with needle combinations are detachable while others are fixed in which the needle is permanently attached to the syringe. 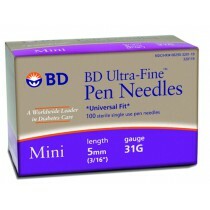 For instance, many diabetic syringe needles are non-detachable and are typically less expensive. 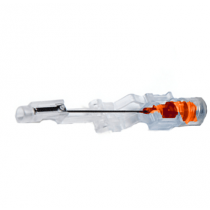 More combinations are manufactured to be detachable, allowing more flexibility and choices between what syringe you use and what needle you attached to the syringe. There are several different types of connection hubs or syringe tips. 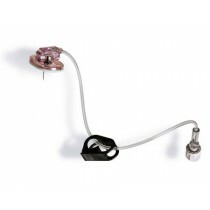 The most popular syringe tips include Luer Lock tips, slip tips, eccentric tips and catheter tips. See Tip Selection for an infographic displaying the different types of syringe tips. Each syringe tip has a corresponding needle hub that connects with it. These connections are not interchangeable. 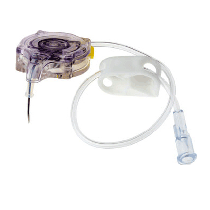 In other words, you cannot connect a Luer Lock hub to a catheter tip syringe. 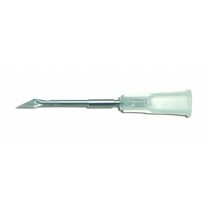 If you purchase a slip tip syringe, you should also purchase a slip tip type needle. 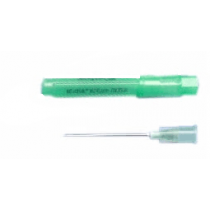 At the bottom of this page is a guide and infographic for selecting the right hypodermic needle which you can reach at the following link: Choose the Right Needle -- Selection Criteria.